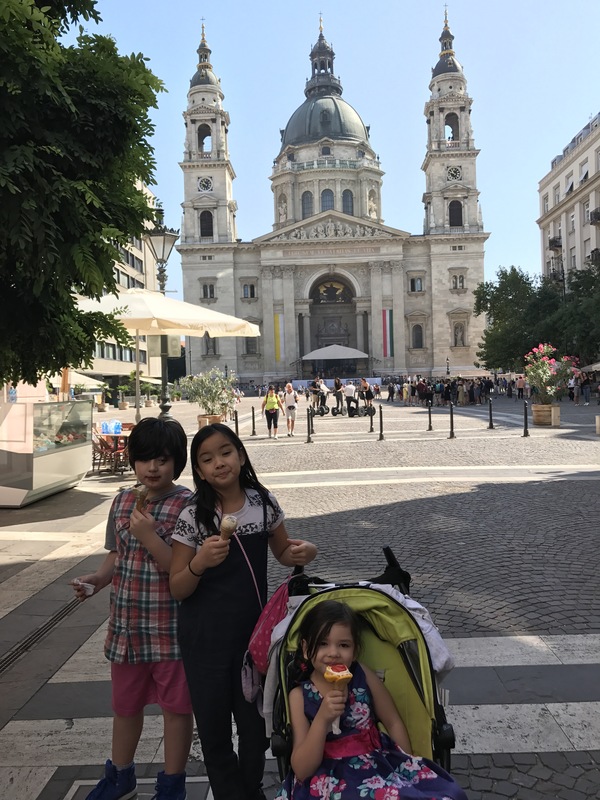 Hungary – Turknoy Travels 100! 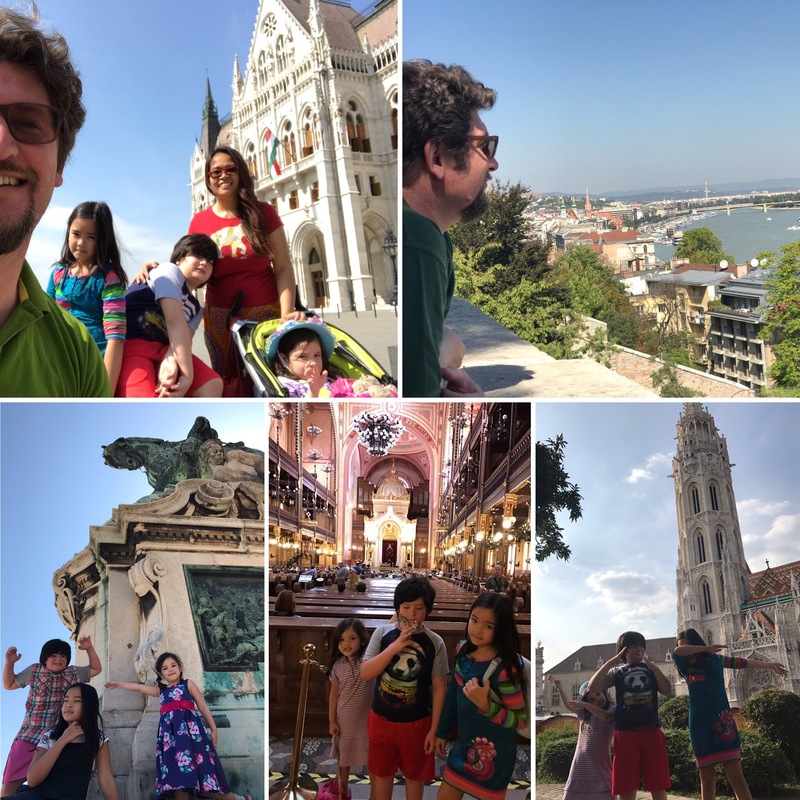 September 2, 2017 September 30, 2017 by turknoys, posted in Germany, Hungary, Travel Adventures, Why Travel With Kids? Translation- The smart one will learn from the mistakes of others. Take as old as time. True as it can be…. We’ve said this before in our blog. Let’s Be Busy Being Alive. 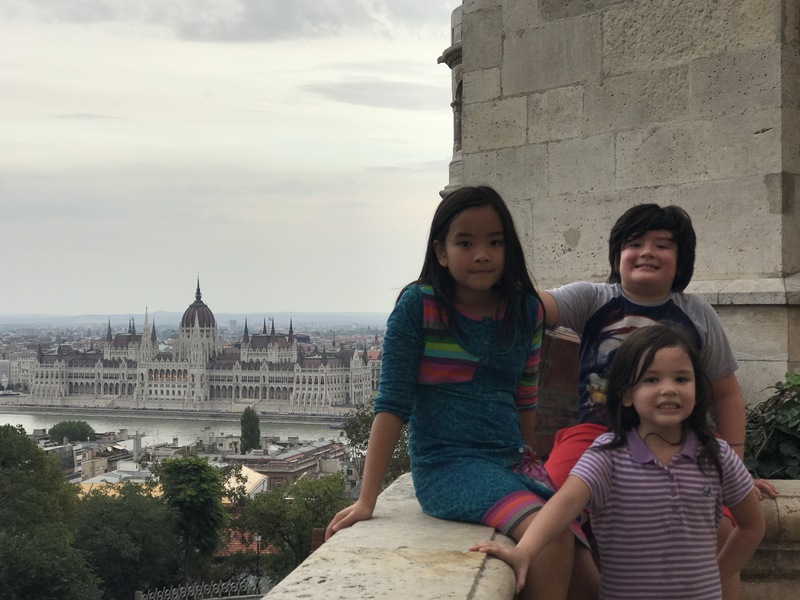 Family travel offers a tremendous potential to learn – learn from local people and fellow travellers, learn from history. For us, learning from history is one of the best way to learn. History is never boring when we visit actual places where certain events actually happened. We get to see or even touch artifacts and memorabilia. We get to breathe the same air (almost!) of people involved in the events of the past. We get to feel the eeriness , of solemness , of the haunted or happy past. Ain’t that the truth, even on personal level, learning from people’s history gives us enormous potential to self check if we are walking on the same path, doing the same mistakes and gives us the chance to correct our wrongdoing. That is a mark of a matured individual, however. And yeah, there are lots of mature people out there. In a way, we get to see the full picture of the past and how it’s domino effect is reflecting in the present. 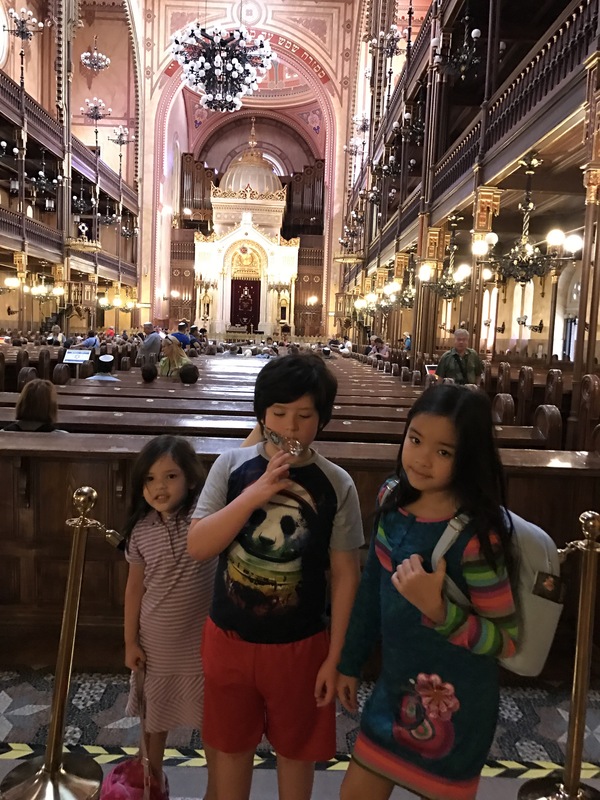 On the other side, exploring Europe with kids? for us, also pave the way of magnified “narcissism” or worse “psychopath” tendencies of world leaders. It’s not easy to explain to kids how the magnificent Neuschwanstein Castle is where the “unfit to rule” King Ludwig II was arrested and how the history has declared him “certified insane” despite of all his inclination to beauty, good architecture and love for landscapes. Walking in his castles, it’s difficult to imagine, how can someone be lonely with all the extravagance and beauty of God’s creations. 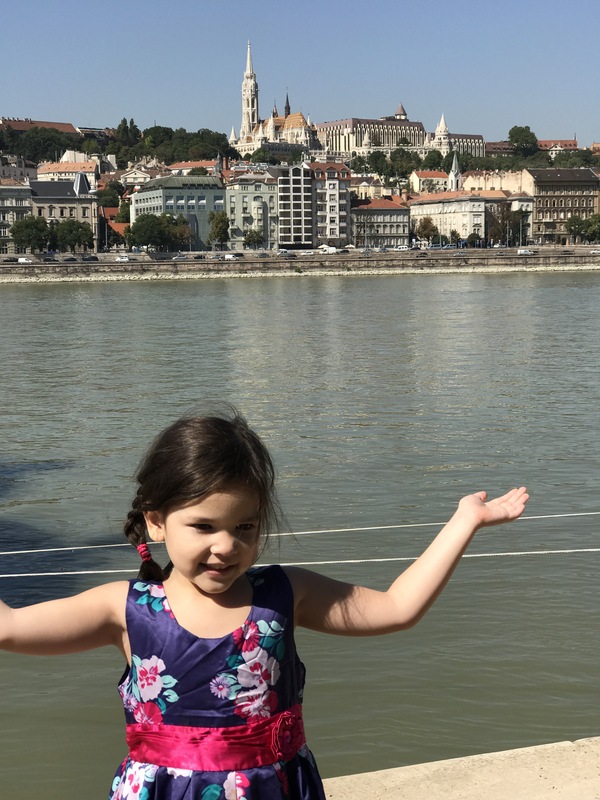 Exploring the Danube River on the Pest side of the beautiful city Budapest, the kids learned about horrific Shoes on the Danube Bank. We stand on the very side where at least 500 people where asked to take off their shoes and got shot at the edge of the river. The beauty of Europe is, yes, beyond stunning. On the other side, the humanity which created the civilization is almost always beyond words. How do we explain to kids the horror of wars and wrongdoings of world leaders of the past? For now, we focus on lessons. On people and government (kinds, queens, world leaders) to not repeating the same horrors of history. Now on to current events. 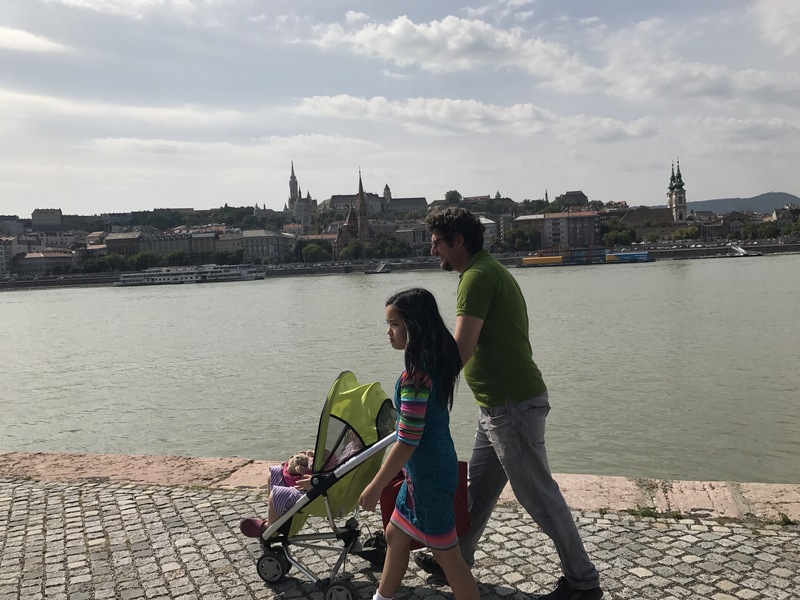 August 31, 2017 by turknoys, posted in Hungary, Why Travel With Kids? Have your ever walked in a fancy shop, get frowned upon by the staff and ended up buying something just to show that discriminatory staff that his or her opinion of you is biased and wrong? Sadly, most of us have been there, at least the first part, that “being judged” part because of the race we belong, the way we dress or just how our body language rubs off to people. How we react to snobbish biases is something commercial corporations have studied to the letter. Some branded, signature, fancy shops, even hire customer agents who can intimidate customers, so they will buy their products. It’s that same reaction mechanism, that their marketing strategy capitalizes on. We know someone who walked in Louis Vuitton shop, received a You-can’t-afford- look from sales agent and needed up buying his first branded bag which he didn’t even like. We also know a family who walked in a fancy restaurant, and asked how much the lobster special was and received a reply “Very expensive.” from the snobby waiter. The family ended up buying special lobster for every family member and one of them needed up with allergic reaction to lobsters. 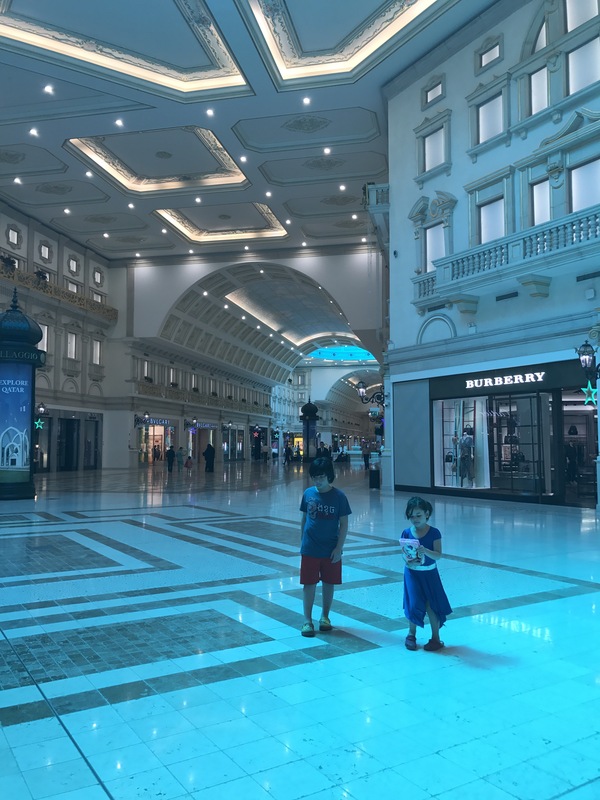 Gladly, these things happen to our family when we travel, and we have developed the maturity to nod off the discriminatory looks of customer service agents. We know that any person’s biases is a reflection of who they are and does not, in any way, define who we are. The Filipino side of The Turknoys , most of the time, have biases attached. Domestic helper, village people attached to it – to name the worst. Full of talent, great customer service, awesome hospitality traits – to name the best. We have a global reputation, good and bad. Such reputation gets magnified when we travel. And traveling with kids, nonetheless. If we have a dollar, for every discriminatory comment, said to us, in front of the kids, we’ll be traveling the world for free! 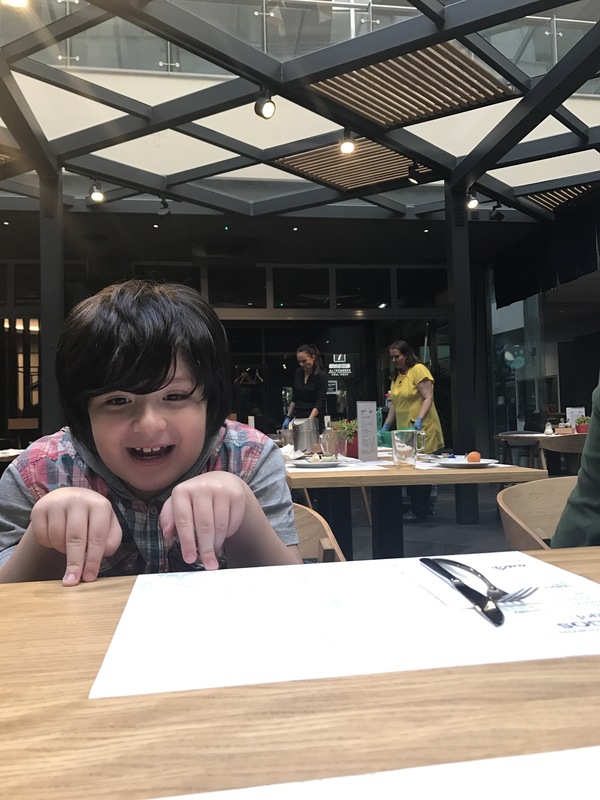 However, the rude customer service and blatant offensive discrimation combined, as a reaction to a traveling incident involving kids is something very difficult to master. At least for the Filipina Mom. 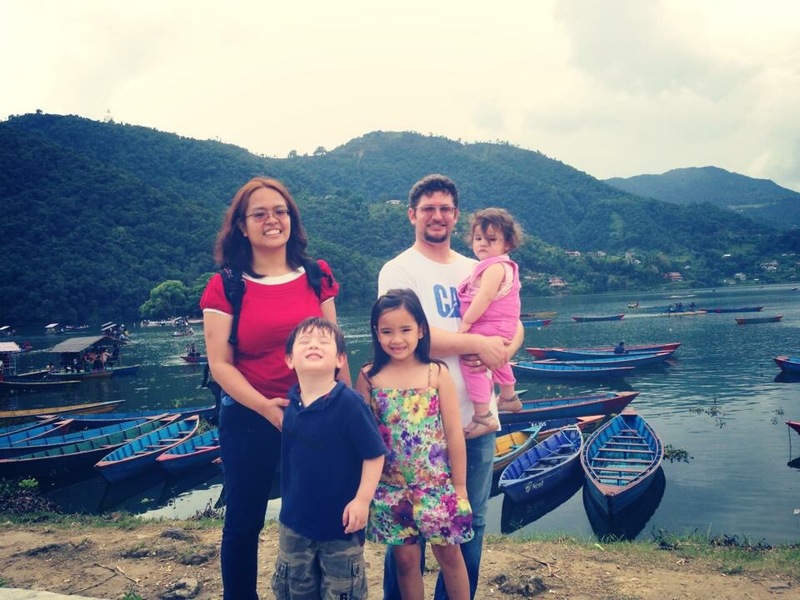 Picture this incident – a biracial family, with a Filipina mom (add in jetlagged with no shower and messy hair!) dining in a restaurant when one child got sick and vomitted all over the fancy restaurant? How would a customer service person react? Background – This happens to our family a lot. Our handsome traveling boy’s stomach react to processed meat and/ or cold chocolate drink. He likes eating and drinking them and can’t hold himself. He gets stomach flu and sometimes accidents happen. 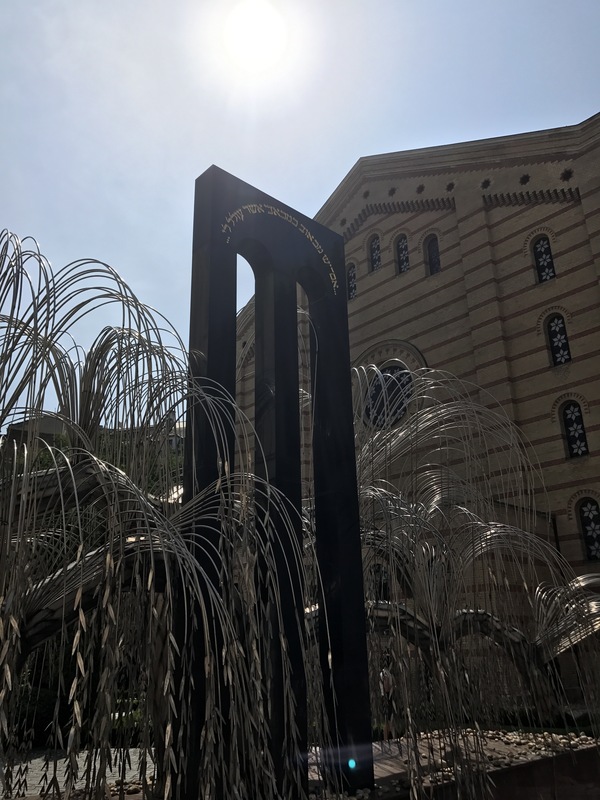 In the Middle East, Southeast Asia and South Asia (add in our one off experience in Africa,) our experiences were all pleasant. The restaurant staff’s first reaction is to ask whether the kid is okay. Automatically after that, sends in the cleaning crew to sanitize the place . We had to reassure the managers and crew that the restaurant didn’t serve anything bad, yet, we get that VIP treatment. In Europe, however, we get the cold shoulder, cleans up the place and move on. On rare occasions, we get the “Is he okay? “question. On to our 28th country, in Eastern Europe .. we received the worst reaction to a kid vomiting in a restaurant. So, how did the fancy restaurant staff react to a sick boy and worried mom? Out of the violent reaction, the paying haggard Mom was asked to clean up the mess by an irate waitress. With lots of OMG shouting at her and the kid. Of course, after few minutes of realization, she back away and called the janitor to clean up and sanitize the mess. Our life goes on, we learn, we adapt, we mature to people’s reactions, biases and perspective. However, this Filipina mom is so jet lagged and so irate, not to NOT write about this incident.